Fall is here, and winter is coming! This means plenty of sports parties, holiday meals, and family gatherings! While hosting large groups of people, it is important to have the right serving tools to cater to all of your hungry guests. Disposable food ware is the most convenient option that allows guests easy access to multiple plates, cups, and cutlery. 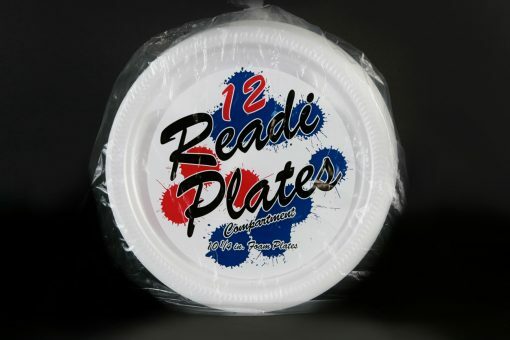 Hosting the perfect party is easier than ever with our foam plates. They give people the option of eating their snack or meal, and hosts are free of any cleaning commitments. At Mat-Pac, we also offer the option of high-quality biodegradable plates, which provide an alternative “green” solution to those not wanting to use foam or plastic. Cutlery is essential for scooping up that hot stew or for sharing a piece of apple pie. Plastic forks, spoons, knives, and cups provide choices designed to please everyone! Mat-Pac offers a wide variety of cutlery: bio-degradable, individually wrapped, wrapped kits, bulk polypropylene, and polystyrene plastic, and boxed. Lastly, having aluminum pans on hand means letting your guests take home some goodies, or even saving the Thanksgiving leftovers for yourself! Dine-out aluminum pans are great for both hot and cold food, and are perfect for take-out. Aluminum laminated board lids are made to fit our dine-out pans perfectly, ensuring a snug fit so your food stays secure in the pan until you are ready to take it out. Mat-Pac has all your Thanksgiving and holiday needs covered, and you can get all the parts and pieces—cutlery, cups, and plates—you need for a truly memorable event.